Tottenham Hotspur must not be satisfied with qualifying for the Champions League and have to mount a more serious challenge in the Premier League and for other trophies, manager Mauricio Pochettino has said. The London club finished third last season to secure their place in Europe's elite club competition for a third season running. "Of course it is a massive success for the club to be in the Champions League for the third year in a row. But maybe that is not enough, maybe we need to change certain things. 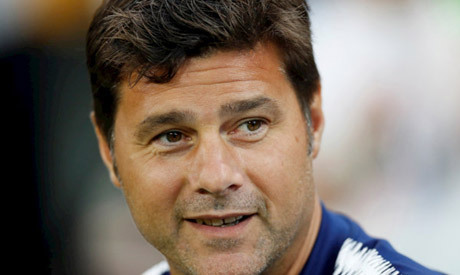 For me, it is not enough," Pochettino told British media. "If some people believe the manager of Tottenham does not want trophies they are not right in their minds. I am here to win," said the Argentine. "Can we win something this season? In football, all can happen. It will be tough because our opponents are at a level where every year they improve ... we are competing in the same race but with a different car."